Could you have a benzoyl peroxide allergy? It can sometimes be hard to tell. Benzoyl peroxide can make your skin dry and red, and cause it to itch, flake, and peel even if you are not allergic to it. Knowing how to differentiate between a true benzoyl peroxide allergy symptoms versus typical side effects will help you save your skin, and keep your acne treatment on track. True benzoyl peroxide allergies are not quite as common as you might imagine. Some people think they are allergic to benzoyl peroxide but, in all actuality, they are experiencing normal side effects of benzoyl peroxide treatment. Benzoyl peroxide does cause dryness, redness, and peeling to some degree. How do you know when you've crossed the line from normal side effects to a true allergic reaction? These symptoms will continue to worsen until you stop using benzoyl peroxide. If you have any of these problems, stop using your benzoyl peroxide treatment immediately and call your physician for advice. Typical benzoyl peroxide side effects are less severe than an allergy, and usually aren't anything to worry about. You typically get the worst side effects during the first few weeks after starting a benzoyl peroxide product or medication. As your skin builds up a tolerance to the medication, you'll notice the worst of the redness, peeling, and flaking diminish. If you're not truly allergic to benzoyl peroxide but are just having a bad time with the side effects, you don't have to give up your treatment altogether. A few tweaks in your routine can help you diminish benzoyl peroxide side effects considerably, all while letting the medication do its job. Use moisturizer daily. Benzoyl peroxide always causes dryness to some degree, for the entire time you're using the medication. Applying a moisturizer daily will go a long way in controlling normal side effects (but won't help at all if you are allergic to benzoyl peroxide). Start off slowly. If this is your first time using benzoyl peroxide, start off using a low concentration (2 percent or less) and use it every other day for a week or two. This will allow your skin to get used to the product. Scale back if you need to. Skin feeling extra dry and tender? It's OK to stop using your benzoyl peroxide medication for a few days to give your skin a break. When you start back up again, do so slowly. Knowing what to expect from your benzoyl peroxide treatment can put your mind at ease, and help you determine what is normal and what is not. If you are truly allergic to benzoyl peroxide, you're not out of luck when it comes to treating your acne. There are many benzoyl peroxide-free acne treatment options to help clear your skin, both over-the-counter and prescription. Salicylic acid is a common OTC acne-fighting ingredient, as is glycolic acid and sulfur. Differin gel was once a prescription-only medication now available OTC. If you need a prescription medication to get your acne under control you have even more options. Topical retinoids, antibiotics (both topical and oral), and oral medications like Amnesteem (isotretinoin) and birth control pills (for women only) may also be an option for you. Not sure if what you're experiencing is a normal side effect or a true benzoyl peroxide allergy? It's always safest to err on the side of caution—stop using your medication and give your dermatologist a call. 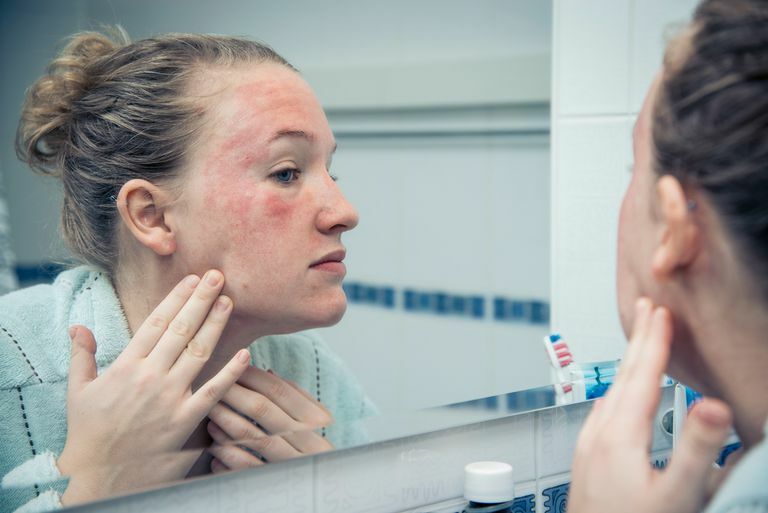 If it turns out you are truly allergic to benzoyl peroxide, or if your skin is just super sensitive and can't handle it, be extra careful when choosing and using any over-the-counter acne treatment or skin care product. Benzoyl peroxide is an incredibly common ingredient in OTC products. Also make sure to let your dermatologist know if your skin can't tolerate benzoyl peroxide. It's included in many combination acne medications. Always read those ingredient lists carefully before using any new product. If you need help choosing the right acne treatment product for you, make an appointment with a dermatologist.